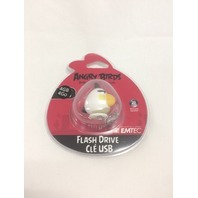 - Style: Each Angry Birds USB Flash Drive features a different bird or pig made out of rubber. Seven characters are currently available. A convenient chain is included. - Plug and Play: Simply plug the flash drive into your computer's USB port and the computer will automatically detect the device. - Compatibility: Compatible with Windows 2000, XP, Vista and 7; Mac OS 10.2.8 or higher; and Linux Operating Systems. Compatible with all USB 1.1 and USB 2.0 devices. - Capacity: Available in 4GB and 8GB. Please note: for flash media devices, 1 gigabyte = 1 billion bytes. Actual useable capacity may vary. Some of the listed capacity may be used for formatting and other functions and thus is not available for data storage. 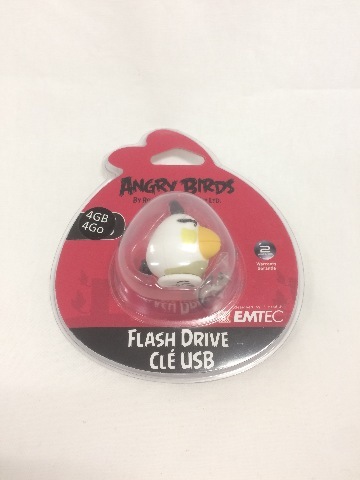 - Performance: The Angry Birds flash drive features read speeds of up to 15 MB/s and write speeds of up to 5 MB/s.